Once upon a time they were as common as muck, but these days prospectuses from finance companies seeking to raise money from the public are almost as rare as hen's teeth. Today only 10-12 finance companies have prospectuses open seeking debenture funding from the public, compared with more than 60 six years ago, following the demise of dozens of finance companies. See details of the failed companies in our Deep Freeze list here. So a new prospectus from consumer lender Fisher & Paykel Finance, its 41st, seeking to raise up to NZ$300 million through the issue of first ranking secured debt securities is noteworthy. The prospectus says the issue of deposits is continuous and will stay open until it's either fully subscribed or closed by the company's directors. F&P Finance, a subsidiary of whiteware maker Fisher & Paykel Appliances, has been a strong performer for its struggling parent in recent years delivering a 19.4% return on equity in the year to March 31.That's higher than ASB's 19%, which is likely to be the highest from the big banks this year. In a speech to F&P Appliances' recent annual shareholders meeting, CEO Stuart Broadhurst said F&P Finance had earnings before interest and tax of NZ$10.9 million in the four months to July 31, up NZ$700,000, or 7%, from NZ$10.2 million in the same period of last year. Broadhurst also said F&P Finance had just launched a “pay later” product on its Farmers Finance Card, allowing up to 90 days interest free and giving cardholders more flexible payment options. Alastair Macfarlane, Fisher & Paykel Finance's managing director, told interest.co.nz last month the firm is now targeting lending growth in the agriculture sector having recently moved into the health sector through its "credit card substitute," the Q Card. Founded in 1973, F&P Finance started out with the primary activity of renting TVs under the F&P Dealer Rentals Ltd name. In 2003 it acquired the Farmers Trading Company’s finance and insurance operations in a NZ$311 million deal. 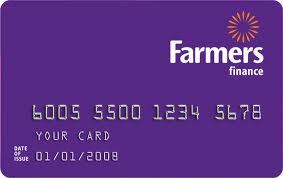 It now operates both the Farmers Card and Q Card. The Q Card has about 200,000 card holders and is promoted as a credit card substitute with interest-free deals and payment holidays. Among the interest rates on first ranking secured deposits it's currently advertising F&P Finance has a 4.25% rate for on call deposits, 4.50% for 90 days, 5% for six months, 6.10% for one-year and 6.75% for five-years. All are for deposits of between NZ$1,000 and NZ$24,999. F&P Finance has a BB speculative, or "junk", grade credit rating with a stable outlook from Standard & Poor's. The prospectus notes that as of July 31 F&P Finance had deposits of NZ$126.7 million, up from NZ$111 million at March 31, with its reinvestment rate having apparently improved from the March month's 89%. And again as of March 31, it had drawn down NZ$219.2 million of its NZ$335 million of bank loan facilities from ANZ, BNZ and Westpac. The company also has a NZ$250 million commercial paper programme and Macfarlane told interest.co.nz last month F&P Finance was considering a retail bond issue. At the recent annual meeting F&P Appliances chairman Keith Turner forecast annual operating earnings before interest and tax from F&P Finance of between NZ$35 million and NZ$38 million. That compares with NZ$31 million for the year to March 31, 2012 and is about on par with the between NZ$35 million and NZ$40 million forecast for its parent's improving appliances operations. Those last annual F&P Finance operating earnings came after a NZ$6.8 million pre-tax hit from combined litigation costs and an unspecified provision stemming from defending itself in a court case against a US firm alleging breach of intellectual property rights. F&P Finance's prospectus says it expects a judgement in the High Court case, taken by San Francisco-based Karum Group LLC, formerly known as Credit Management Services Inc., "shortly." Karum has sought a number of remedies including an unspecified amount of damages, F&P Finance says. Further there's a "remote possibility" it may be awarded an injunction restraining the F&P group from using a credit management system Karum alleges incorporates its intellectual property. "Vigorously" defending itself, F&P Finance says if such an injunction was awarded, the credit management system could be altered to remove any elements found to be infringing in a "reasonable" period. But if this wasn't able to be achieved, the proceedings could have a "material" adverse impact until replacement software was introduced.